Suppose you are going for a night walk on the outside with your dog. You will definitely want for motorists and pedestrians to see him from a distance and therefore avoid bumping into or hitting your precious pet. This way, you may be able to avoid accidents that could impact on you or the dog. If you are walking your furry friend and they suddenly run off, then you are able to locate them immediately and retrieve them. Imagine what would happen if your dog ran off into the night without any sort of identifier for you to run after? It would mean agonizing hours walking in the night trying to retrieve your friend. Undoubtedly lighted dog collars and leashes are quite handy and have saved millions of dogs and their owners from accidents over the last decade. 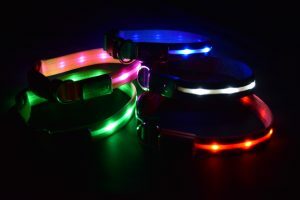 LED dog collars come in all sorts of combinations. Hands down, one of the most popular is the USB Rechargeable LED lighted dog collar because they save the owner a lot of money. If you are walking your dog in the dark and he comes across another group of pets, then there is always the chance that he is going to get in the crowd and become almost untraceable. However, if you have a distinct LED combination for yours, then you are going to be able to pick him out from a mile. You won’t spend 30 minutes running across wagging tails and growling animals to get to your pet, and that is important for every dog owner out there. You are always taking your dog out to parties or walks or vet offices. As he runs alongside you, you want him to look impressive and stand out. There is no better way to make a ‘dog fashion statement’ than have the dog wear a lighted collar. 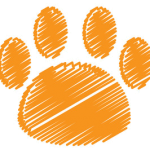 Visit Yippr anytime you need a new dog collar or searching for other high quality products for your dog. He may not be able to tell you how grateful he is for that act of love, but he will certainly wag his tail lovingly at you or even give you a nice lick on the leg if you are lucky. Just like humans, pets love the good things in life, and they are happy when we do right by them. LED dog collars are highly portable and mostly by a rechargeable lithium ion battery. All you need to do is put it around his neck, switch it on and your dog will happily hop on to the road. They are a very safe accessory for you to have as a pet owner.